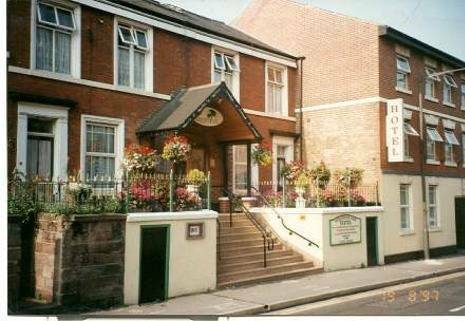 The Rangemoor Park is a small family run budget hotel that provides affordable en -suite and standard rooms in the heart of Derby City. It is within easy walking distance to the Eagle Centre, Business Areas and Popular Tourist Attractions. With its Central location, The Rangemoor Park Hotel is an ideal choice for experiencing Derby’s vibrant, contemporary yet traditional city culture. Enjoy a day of shopping in Westfield Shopping Centre with over 190 shops to browse or visit our bustling markets where you are guaranteed to find a bargain or two. Enjoy a day out at Donington Race course, only 11 miles from our hotel. At night enjoy a meal in one of the many modern stylish restaurants of Derby City or unwind and relax in one of the many bars close by. After a busy day return to The Rangemoor Park Hotel for a comfortable sleep at an affordable price. Awarded 3 Diamonds by the AA, The Rangemoor Park offers two types of accommodation - En-suite rooms or Standard rooms. Each of the en-suite rooms offers modern facilities, including TV, Hairdryer, Iron/Ironing Board, En-suite Bathroom and Hospitality Trays. Standard rooms offer modern facilities, including TV, Hospitality Tray, Iron/Ironing Board and Shared bathroom facilities. The Rangemoor Park Hotel has a large, free private car park located to the rear of the Hotel. Reception hours are between 2pm and 10pm. However late arrivals can be pre-arranged with the hotel directly. All prices are based per room per night and include Continental Breakfast and VAT. Rates are subject to alteration without notice. Our friendly reception staff are always available to assist you in any way and look forward to welcoming you to our hotel. The Rangemoor Park offers two types of accommodation - En-suite rooms or Standard rooms. Each of the en-suite rooms offers modern facilities, including TV, Hairdryer, Iron/Ironing Board, En-suite Bathroom and Hospitality Trays. Standard rooms offer modern facilities, including TV, Hospitality Tray, Iron/Ironing Board and Shared bathroom facilities. NB We offer an early check-in or a late check-out for a small additional fee of £10 per room. Please contact the hotel direct after booking in order to add this option onto your reservation.